Our Haws Sparks team is growing! With a dynamic team of professionals from diverse backgrounds, the Haws Sparks team grows by setting the conditions to attract the best talent from all over the world. Haws is a family-owned and operated business that manufactures drinking fountains, emergency equipment, and other products in facilities all over the world. 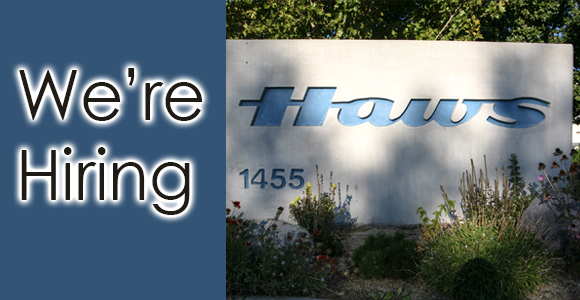 Read more about the open positions in our Sparks, Nevada headquarters! Our open positions are in departments from all over the business, including Assembly & Production, Manufacturing, Finance, Information Technology, Customer Service, Engineering, and more. We pride ourselves on being a family-oriented, fun, mature team with a mission to improve the health and safety of our global community. Are you the right fit for our team? 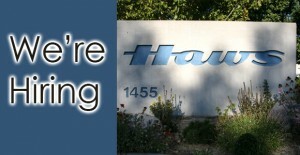 Click the link below to learn about our team, see the open positions, and easily apply online.